Welcome to Acadiana and Euncice, LA's #1 choice for home construction and remodeling! Ready to Tackle Your Fall Checklist? Rely on Sam's Construction Trusted Experts! Are you in need of a new home? Maybe your current homes needs an upgrade. Call Sam's Construction. We specialize in new home construction, remodels, and additions. nnWe service the Acadiana area of LA, and all surrounding areas. We also provide FREE estimates. It can be hard to find a builder to deliver on a project you've been dreaming about. Not at Sam's. We work directly with our customers so they get something they will be happy with for years to come! nnCall us, we'll prove it! Here at Sam's Construction we offer a range of services guaranteed to provide you with the very best in the Acadiana area of LA, and all surrounding areas! We deliver the finest workmanship around and can provide new home construction, remodeling, small commercial work, framing, cabinets, and more! 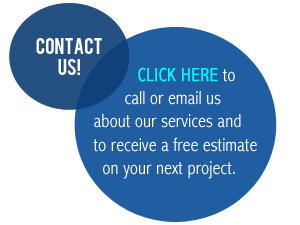 One of the outstanding services we offer here at Sam's Construction is our free estimate. If you've been looking to improve that kitchen or add an office off the living room, call us! We will come to your location and give you an accurate estimate that is sure to beat the rest. What have you got to lose? Contact us today! Sam’s Construction LLC is a new home construction and remodeling company located in the Acadiana area of LA. For years, our team of design and home construction experts has helped property owners get the perfect home or residence through our work. At Sam’s Construction LLC, we believe that everything comes down to communication and workmanship. We are honest in our estimates and consult with our clients throughout the building process to ensure customer satisfaction. Our projects and services range from small additions and framing to major new home construction and custom cabinet projects. We have worked hard to develop our reputation for providing our clients with quality products and workmanship at a fair cost. Regardless of the size of the project, we believe in treating each of our clients as if they were our only client. As a result, the majority of our business comes from repeat customers and referrals from existing clients. By hiring Sam’s Construction LLC for your next home build or remodeling project, you can count on fair prices, timely construction, honest communication, and the home or office of your dreams. Call Arcadiana, LA’s own Sam’s Construction LLC today and receive a FREE Quote or FREE Plans for your next project.